I am a huge music fan. I can listen to music all day, if I was allowed too! But of course, Cbeebies and Nick Jr has to be one through out most of the day. But when I can, I put music on and just relax. It also helps me feel motivated to get some house work done or do a quick workout. 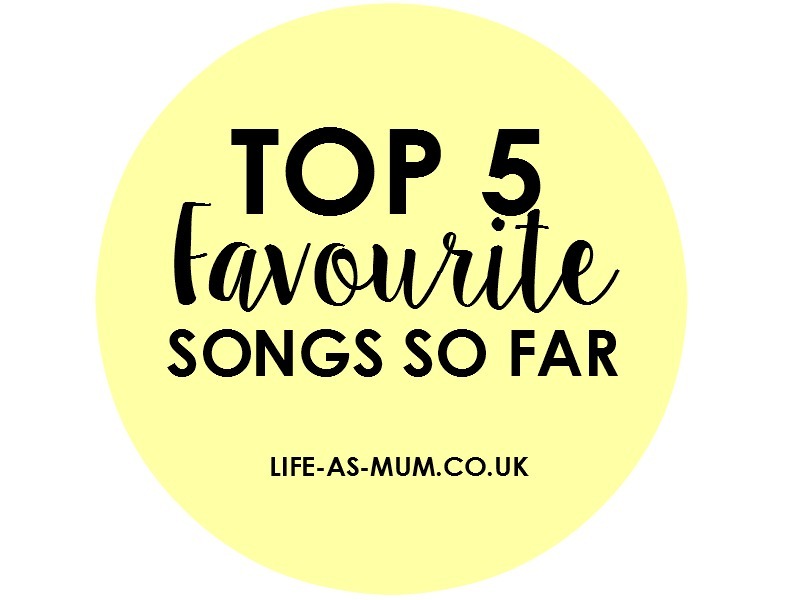 There are so many fantastic songs around recently, and I thought I would give you a list of my top five favourite songs so far. I am in love with this song. I could fall asleep listening to this song. The most I have replayed this song, one after the other, is about 8-9 times. I could listen to it all day. I love the lyrics and it really does make you think - life is too short! *Hands up! * I am a One Directions fan - a big one! I love them and was pretty gutted when I heard about their break up (or year break). When I heard this song the first time on X-Factor, it kind of clicked to me then, but when I heard it on music channel a few weeks after, I instantly fell in love! Ok, I admit, I am a Bieber fan. Uh-oh. Mind you, I have always loved his songs but he did put himself down a few months ago. But his songs recently have been amazing. This is one of his slower songs and again, I love the lyrics of this song. I am a big fan of Jess Glynne. Her voice is just a-m-a-z-I-n-g isn't it? Every single song she does is fantastic. This song is a slow song, again! But just have a listen. It's lovely. I can totally relate to this song. It's such an amazing song. The lyrics are so relatable, so carefully written and I also love singing along with this song! Have you heard any of these songs? Do you like any of them?